So you need some web design done for your Melbourne-based business? Well you probably want to talk to a digital agency like Krafthaus, but what are the elements that make up good web design? 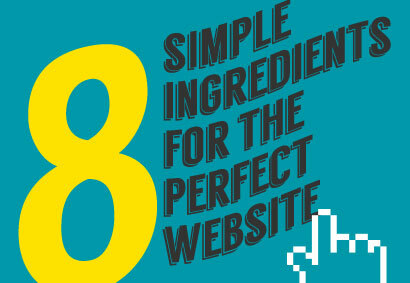 We have put together a list of eight simple ingredients for a modern, sleek website that will command attention and draw engagement. This is the single most important core aspect of a good website today. Content and what they are going to put on their website is almost at the back of the mind for a lot of clients when they come to you and say ‘we want a cool website’. The single hardest thing to make is a cool website (or any website at that fact) from bad / nonexistent content. Good content is the core of any website, and it ranges from a great photo-shoot, copywriting and video production. This complemented with ongoing content creation in the form of articles on blogs. Good content should then be delivered in a fun and effective manner, by giving preview to it without overwhelming the user, but also giving enticing cues for content lovers to click and find out more. Good content can still be achieved on a budget from, using high quality stock images, alongside well written copy from our journalist. Finding a specialist in typography for your projects, a unique and important way to communicate the websites personality, whether the website owner wants to communicate professionalism, class, quirk or cool. Unique iconography can ‘make’ a website. In the situation where the site serves a specific purpose and is not a usual marketing type website, unique and carefully designed iconography can make a website special. Iconography can be used in a number of ways on a website such as explaining the business process steps, explaining the level of service delivered, and communicating the expectations to the customer. Unique and custom iconography can also give security to customers to feel trustworthy to hand over critical information such as payment details or personal information. Video will continue to become a more important part of the web, as technologies improve, short effective load videos (we recommend no longer than 10 seconds) or interactive web video with a 3d journey. Links within the video to take to the next are becoming effective mediums for communicating a brand message or story. We are predicting that everyone will see a lot more of this over the next year and beyond in global web design industries. It involves having a small snippet of video, usually a mugshot of a person, animal, or scene, and it plays a short and subtle loop of them looking into the camera and occasionally blinking, or if it was a dog – panting, done in well in an unrecognizable loop. This effect is only triggered on mouseover of the on screen container. If you have a good video camera, and some video editing skills we suggest you visit this effect. We have already seen a lot of this in 2012, popular news and media outlets are improving their mobile website experience, and now with Google Chrome available on iOS and Jellybean, the browser infrastructure is continuing an upward trend to deliver better mobile performance. While Apps will continue to satisfy heavily used web platforms (Facebook, Gmail, Instagram, Twitter) mobile website designs and ease of use will continue in 2013, especially in the e-commerce web design sector. This is a big trend we will continue to see in 2013 from web design agencies, is the custom design and styling of API integrations from social media channels. Custom design layers on Google Maps API, including custom markers, black and white maps, image layover maps and a range of other features to customize the client’s website. Custom ReCapcha designs, (usually reserved to prevent spam bots) uniquely setup for the brand, can involve dragging objects into puzzles, or in a brands situation interacting with a brand icon in a certain way to verify the user is human and not a spam robot. This is big and continues with the broader trend of the web slowly reshaping each website visit for the individual. Large organisations (Google, Amazon) and others are leading the charge on making sense of Big Data. At the moment, this information gathered on users, is used to serve up customized adverts, products the customer may prefer, and video and content suggestions based on past behavior. This is a big call, but we think this will eventually change into the UI and UX of a website based on the Big Data collected on the individual. This evolves from creating responsive design for different tech devices, to creating a custom responsive design for each user based on their preferences. This is one rule of thumb that designer’s should always keep in mind for 2013, that if you know who the majority of your users are, then design for that market.